After bringing military police officers out of retirement, the wave of violence sweeping through the state of Ceará remained unabated and reached its 20th day yesterday. The weekend's violence included a school, a trash truck and a bus burned. 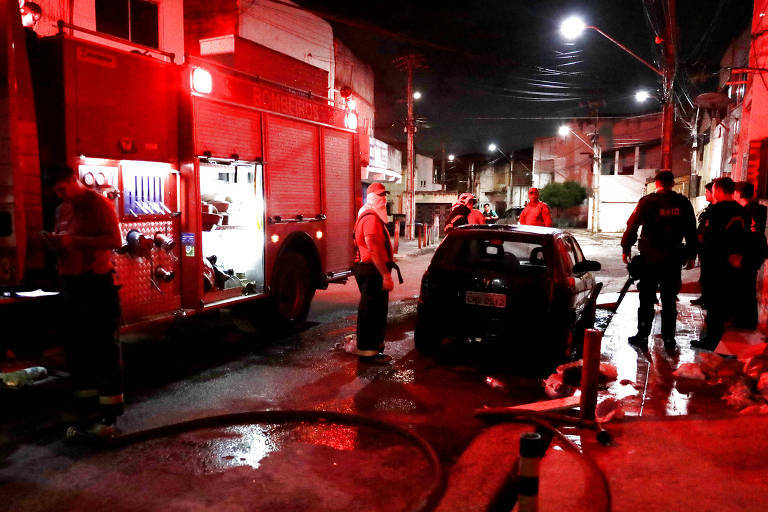 On Monday early morning (21st _, public school Geralda Bonifácio Rodrigues, in the coastal town of Itarema, was partially destroyed after criminals set the building on fire. The flames took school supplies, furniture and appliances. In Jaguaruana, a truck used for the town's trash collection was completely burned. On Sunday evening (20th), another bus was attacked in the capital Fortaleza. No one was harmed. Sometime before the incident, two men riding motorcycles tried to set an occupied van on fire. Some parts of the vehicle were damaged. Since January 2nd, when the attacks began, Ceará's government registered 222 criminal incidents in 47 cities, with 400 suspects detained. In an attempt to deal with the crisis, the state government ordered 1,200 military police officers out of retirement. From those, 810 officers presented themselves for duty, and 150 have already started to police the capital on Friday (18th). The federal government sent a group of 400 officers from the National Guard to help with law enforcement and prison surveillance. The state also requested Minister of Justice Sergio Moro for more reinforcements, last week.